There’s no denying it, the landscape of ecommerce has already changed dramatically and it will continue to change as giants like Amazon pursue more creative ways to reach consumers and smooth out the buying process. 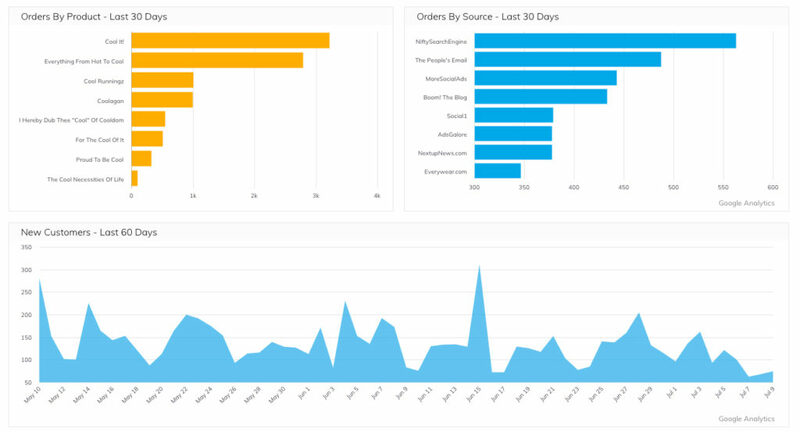 So, how can an up-and-coming ecommerce business like yourself even dream of competing? From our experience, it will take some creativity, elbow-grease, a fervent obsession with customer service, and a solid understanding of your business analytics. Check out our top 7 to-do’s to keep your ecommerce company on point. Decide who your customer is (more defined than “men” but less defined than “that drink earl grey tea”) and speak to them in their language. Get some gorgeous pictures for your social media accounts, but don’t forget to keep it real. A good rule of thumb is at least once a week post a “normal” picture of yourself, your family, your team, etc. to your feed. The rest of the time, keep it classy. Educate consumers about your product’s space, but not with shameless plugs or by tearing down your competition. Use your social platforms as a way to provide customer service. Doing these four things will get your story told and showcase your commitment to your customers. However, to keep your digital marketing up to snuff, you’re going to need to constantly be looking for the latest trends and avenues. With the advent of IGTV last week, it’s even more important to start making videos. So take your smartphone and get filming! 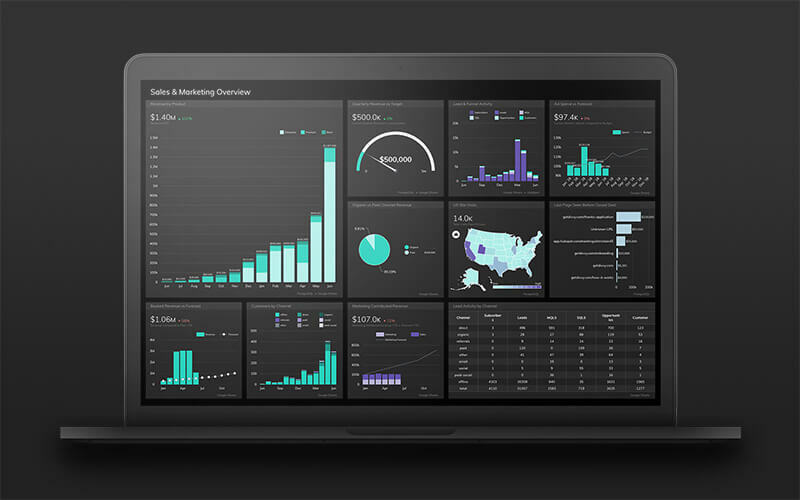 Finally, make sure that you are tracking everything when it comes to your digital channels on a marketing dashboard. This will help you make quick pivots and stop putting effort into areas that aren’t returning a large enough dividend. Remember: shares and likes aren’t money back into your business. Where Amazon, Target, and other large retailers have rolled out fingerprint check-out, you can’t waste another minute with clunky checkout pages. You must create the smoothest possible transition between the add to cart and purchase buttons. Every second that a customer spends between those two buttons is an extra second for them to re-think their purchase. Capture the user’s email address early: this allows you to re-market to them with killer abandoned cart emails. Replace or minimize the header and footer, and remove any other distractions: this keeps your customer focused on the task at hand—checking out with your product in their cart. Keep your cart page / process quick and simple: This ensures that it will load quickly and not cause too much friction for your customers. Data validation: Include this in your landing pages to allow web browsers to auto-fill information for customers. That way, even if they’re a first time customer, that checkout process is smooth as molasses. Plus, it reduces errors for shipping. Display trust signals throughout the checkout process: The fact is, customers are weary of their personal information being stolen (because even giants like Target are getting hacked!). They need to know that your site is secure and you have their backs. Allow for different payment options: Digital wallets are becoming more commonplace, and customers feel like they have more control when they can choose how to give you their information. Plus, they don’t have to search for their wallet anymore, streamlining the process from add to cart to purchase. To be completely honest, everyone loves online shopping for two reasons: pajamas and beds. You don’t have to worry about looking decent, a sales clerk trying to sweet-talk you into the product, or anything else. You are totally in control, all while wearing comfy socks and eating your favorite ice cream. But the online shopping experience lacks one very important feature: being able to touch and feel a product in real-life. That is why imagery on ecommerce sites is so important. You absolutely need clear, well-lit images from various angles. Think about all the things that a savvy shopper would want to look at—close-ups, various angles, size comparisons, interiors…the list goes on. The more distinct and impactful images you’re able to provide to your customers, the more your site can simulate a real-life experience. Product images that are bright, plain, and clear typically are the gold standard. 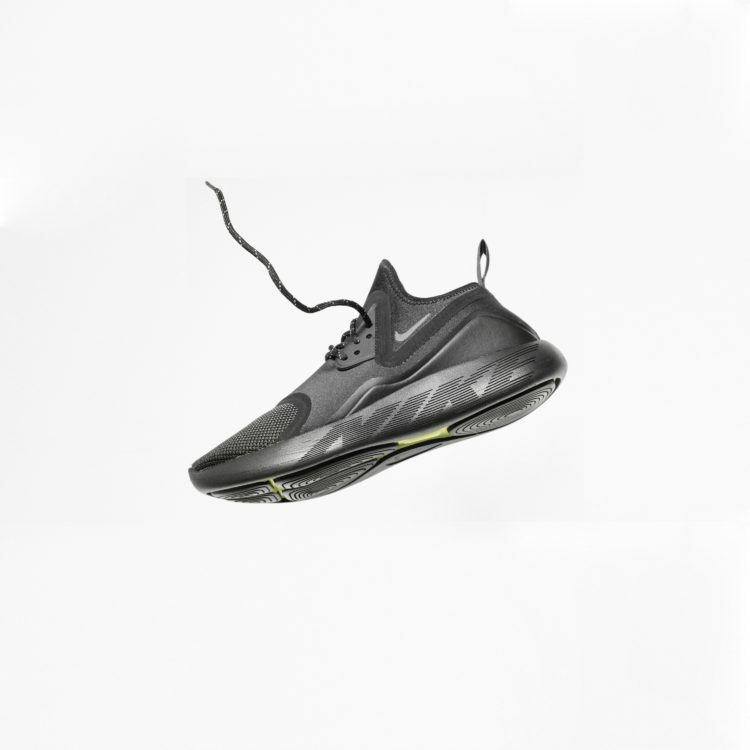 Where you can, utilize multiple angles of the product as in this Nike image. The angle allows you to see the bottom and the side, highlighting the “Nike” detail across the side of the sole. Close ups are key! 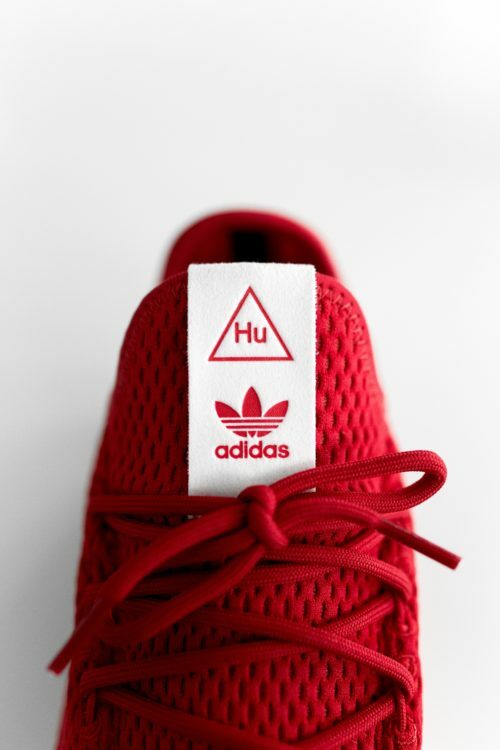 This allows customers to see things like the knit of the fabric, detailed etching in the tag, and highlights more effectively the pop of the white against the red. Scale is important. 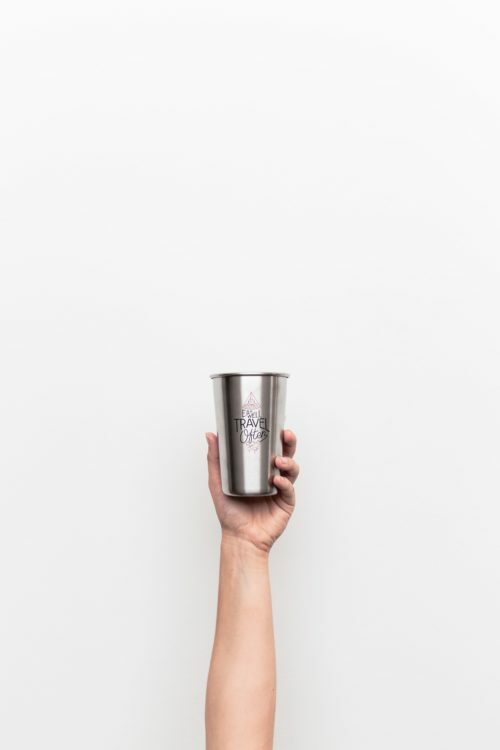 It’s hard to picture how large an item is, so having a size reference is helpful for many consumers—like in this image, the hand gives you a reference to how large the travel cup actually is. Lifestyle imagery can be a powerful tool. 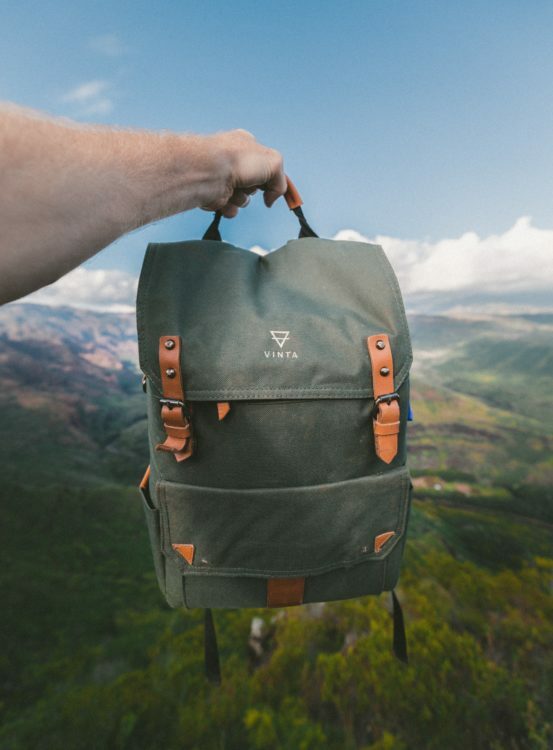 This image provides size reference and simultaneously works on your imagination by helping you picture what it would be like using this backpack on a hike. Focus on your ideal buyer: Because when you’re writing for everyone, no one wants to read it. Entice with benefits: Customers want to know what they’re going to get from purchasing your product, not just physically but emotionally. So tell them! Avoid yeah, yeah phrases: Everyone says that their product is the “best.” So don’t just say it, prove it with your product’s qualities. Justify using superlatives: If you must use a yeah, yeah phrase then justify it right out of the gate. Don’t just let your product speak for itself, explain why it’s actually better than the competition. Appeal to your reader’s imagination: Describe what it will be like for your customer to actually have your product in their hands. Will it help them realize some potential they’ve longed for? Will it solve a problem that they’ve allowed to now become commonplace? Guide them through that journey! Cut through rational barriers with mini stories: When we are being told story we forget that someone is trying to sell us something. Instead, we become tied to the product and how it came to be. A long-form version of this could be thought of as your “about” page if you are a single-product ecommerce company. Seduce with sensory words: When we use sensory words, we help customers truly envision what they’ll experience once they have your product. Because sensory words are often linked to emotions, they also help customers tie emotional experiences to your product—usually, always a good thing! Tempt with social proof: Find ways to get reviews and press coverage about your product, and then include them in your product listing! Some companies have even started including top customer quotes and customer images in their image carousels to get them right in front of customers! Make your descriptions scannable: Although everyone reads, we also want to read quickly. So make sure that you have clear text hierarchy, and don’t be afraid to add some [appropriate] splashes of color. Did you know that 7 out of 10 shopping carts are abandoned? People end up not being ready to buy for a variety of reasons ranging from added costs like shipping to something as simple as not having multiple payment options. However, this presents an amazing opportunity for you. If you are able to collect your customer’s information early, you can then send a series of abandoned cart emails. The best abandoned cart emails are simple, to the point, and have clear visuals—and, if you have space, are a little clever. 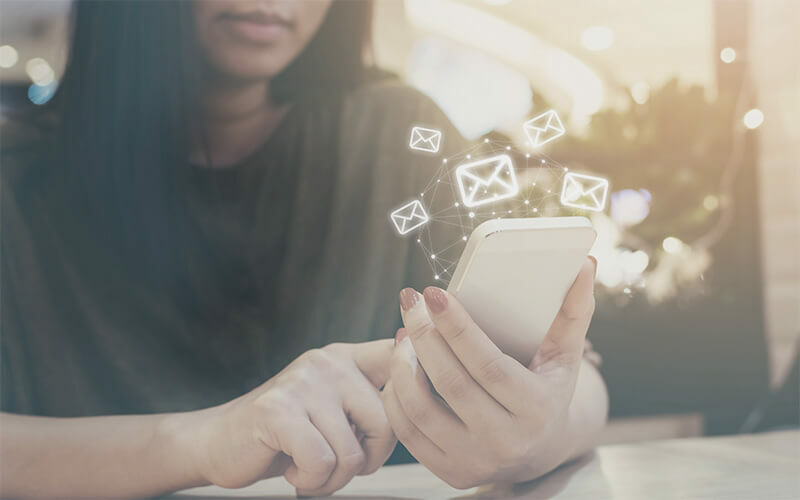 So, start testing various versions of emails until you are able to fine-tune an email series that will get more consumers returning to their carts. Perhaps they signed up for your newsletter during checkout or handed over their email address for a discount code they never used—whatever the case, don’t forget that some customers just need to know that you care about more than taking their money. So nurture that relationship! If you can utilize some type of CRM software like Base or Hubspot, you can send personalized content that will keep them interested and engaged, while keeping your company top-of-mind. This means that, when they are finally ready to make a purchase, you will likely be who they think of first. Some ecommerce businesses think the buying experience ends after the customer leaves the site. But boy, they couldn’t be more wrong! Think about how exciting it is to get something in the mail—even if you know what it is, there’s just something about opening up that box that reminds you of Christmas morning. So make that box an experience. This can include anything from fun, funky designs on the outside, clever notes on the inside, or even a little gift for your customer. One of the most creative shipping experiences we’ve seen comes from the masters of physical experience themselves: Chip and Joanna Gaines’ online Magnolia store. When you receive a package from Magnolia, you are getting a personal message right from the get-go with “Happy Mail Day Stamps” and “Bless Your Home” tape. Right from the beginning, customers have a personal connection to their package. When a customer receives something from Magnolia, they’re getting more than what they paid for. Chip and Joanna have essentially mastered shipping not only what the customer ordered, but also a little piece of their in-store experience—effectively connecting the two dots of online and in-person. There are two words to remember throughout your use of this list: experiment and connect. 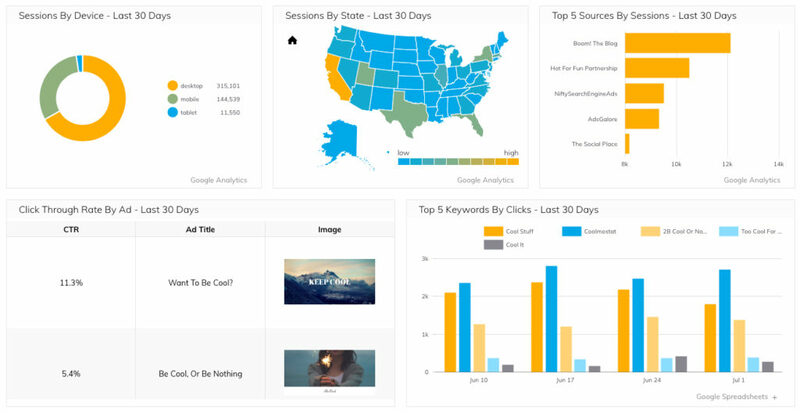 Experiment with new product copy, new images, new layouts, and use data analytics to measure the impacts so that you can fine-tune your online experience. But whatever you do, don’t forget about the connection. The emotional connection and reaction you can draw out of customers is what will keep them coming back and shopping with you, rather than opening their Amazon app. Because one day, you could be the next big hit.